Recently, a new wooden sign went up. 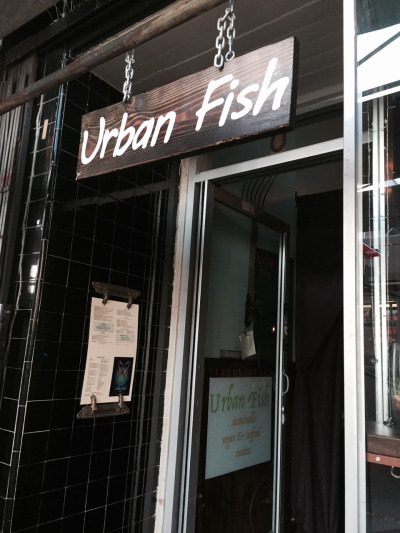 The Urban Fish menu posted outside looks to be full of vegan and pescatarian items, including some old Weird Fish dishes and new offerings like fish sandwiches and mussels and fries. 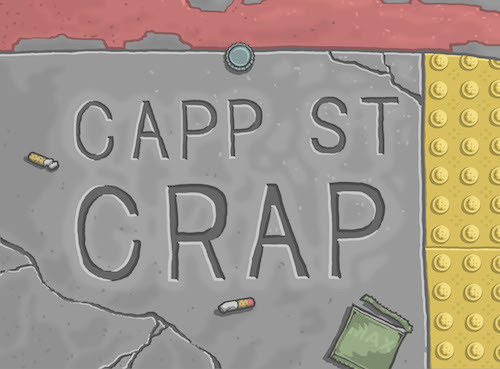 Irfan Yalçin, who bought the restaurant at 2193 Mission Street along with the space a few doors down that’s now the wine bar L’Emigrante, told Capp Street Crap in January that he was struck by the response to Weird Fish’s closure and got the OK to keep some of the old items on the new menu. 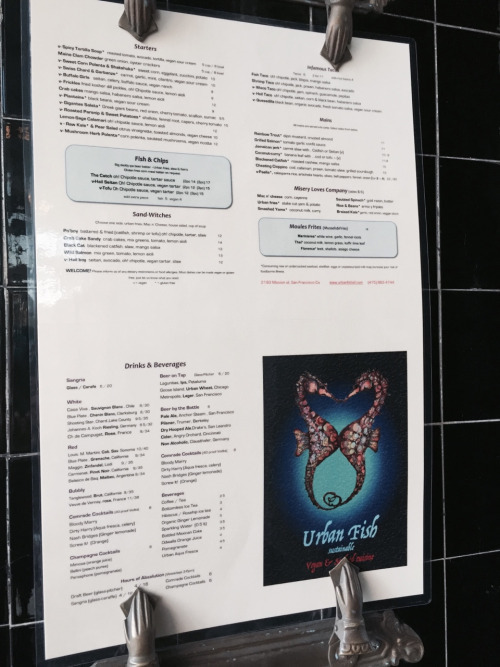 It’s unclear why Yalçin didn’t stick with Bistro Le Bon Vivre and chose another name but the menu looks similar to how he’d previously described it. Either way, I’m excited to try it. This entry was posted in food, news, restaurants. « Mayday! Mayday! Ottoman down!